Tusayan Corrugated jar. Click the image to open the Tusayan Gray Ware gallery. Tusayan Gray Ware was one of the earliest widespread pottery types in the Southwest. 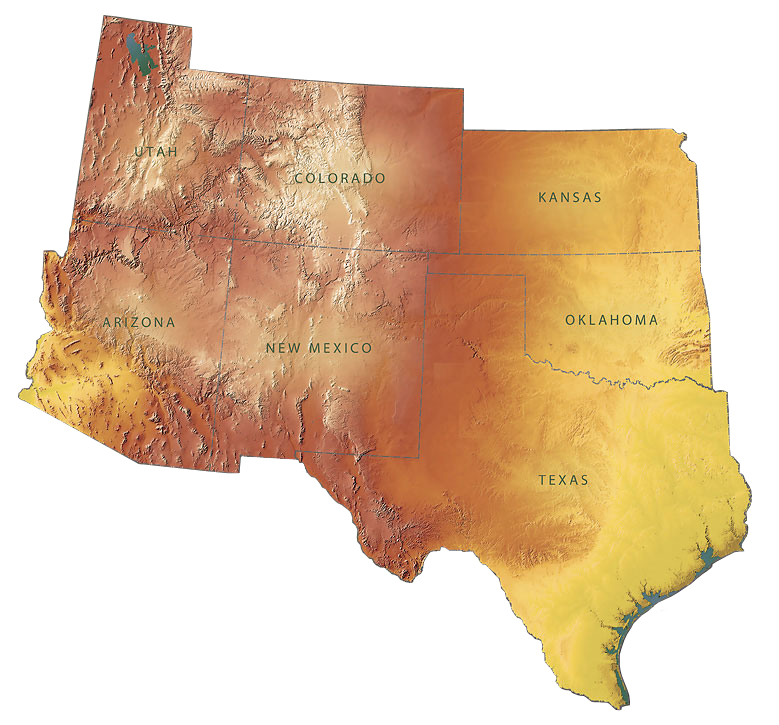 Although a few types were localized, most are found over a large area, including in northwestern New Mexico, southern Utah, and northeastern Arizona. Types include: Coconino Gray, Kana’a Gray, Kiet Siel Gray, Lino Black-on-gray, Lino Gray, Medicine Gray, Moenkopi Corrugated, and Tusayan Corrugated. Date Range: A.D. 500 to 1300. Core Color: Light gray to dark gray (sometimes almost black with carbon). Carbon Streak: Fairly frequent in some types, but generally characteristic. Temper: Abundant quartz sand, from medium fine to very coarse; occasional opaque fragments, gray or tan; occasionally feldspar grains in some types; temper usually conspicuous. Surface Finish: Most types roughly scraped, not smoothed, not polished, usually pitted, scraping marks conspicuous; exterior surface plain, corrugated, tooled appliqué; no true slip on any type, but sometimes a fugitive red wash (Lino Fugitive Red). Forms: Jars, bowls, pitchers, dippers. Vessel Thickness: 2.5 to 9.7 mm, average 5 mm (bowls); 2.5 to 9.7 mm, average 5.2 mm (jars). Paint: Painted on Lino Black-on-gray only, dull black, occasionally brownish if thin. Design: Narrow lines, often ticked, isolated dots between narrow framing lines, crudely applied. Background: Two dominant wares appeared in northern Arizona and continued until the end of Pueblo III (ca. 1300 A.D.). Known as Tusayan Gray Ware and Tusayan White Ware, they were made of the same materials, by the same techniques of construction, in the same region and by the same peoples. Separation of these two wares, on the basis of surface treatment, and function, is admittedly for convenience in study and identification. Tusayan Gray Ware includes the utility cooking and storage pottery of the Kayenta Branch and Tusayan White Ware the pottery used for serving the food of the same people. Tusayan Gray Ware had an early beginning. How, when and where it originated is not yet certainly known but it may have been the result of a contact between northern non-pottery-making people and southern pottery-making people. This is suggested by an early type named Obelisk Gray which resembles Mogollon Brown Ware in many ways and appears to be a connecting link. 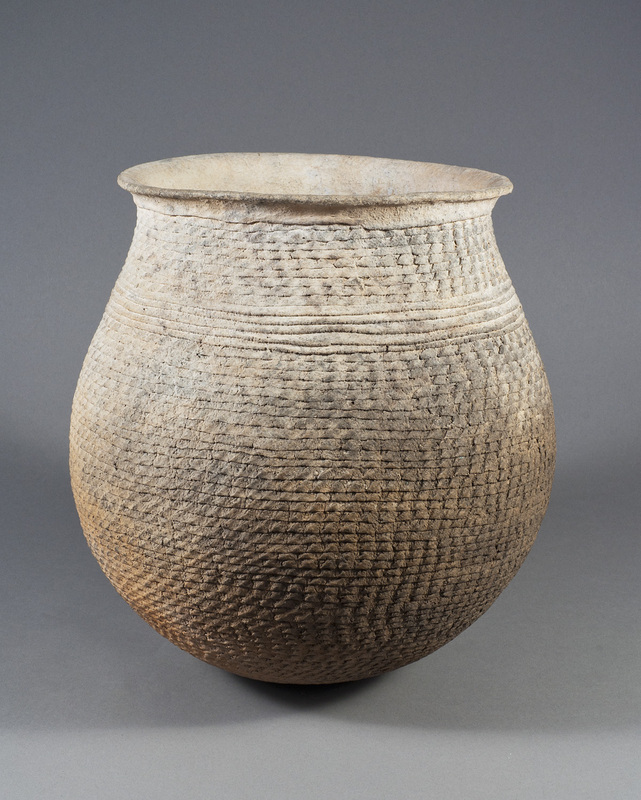 Regardless of the incidents of its origin, the earliest known type in this ware was perfectly constructed when it first appeared, although styles of forms of vessels and surface treatment changed over the years. Some of the types are useful in dating.